There is something inherently social about coffee. At the heart of gatherings with friends or at work meetings, coffee is always there bringing people together. It seems as if any time I have friends over, a pot of coffee inevitably gets brewed and enjoyed. 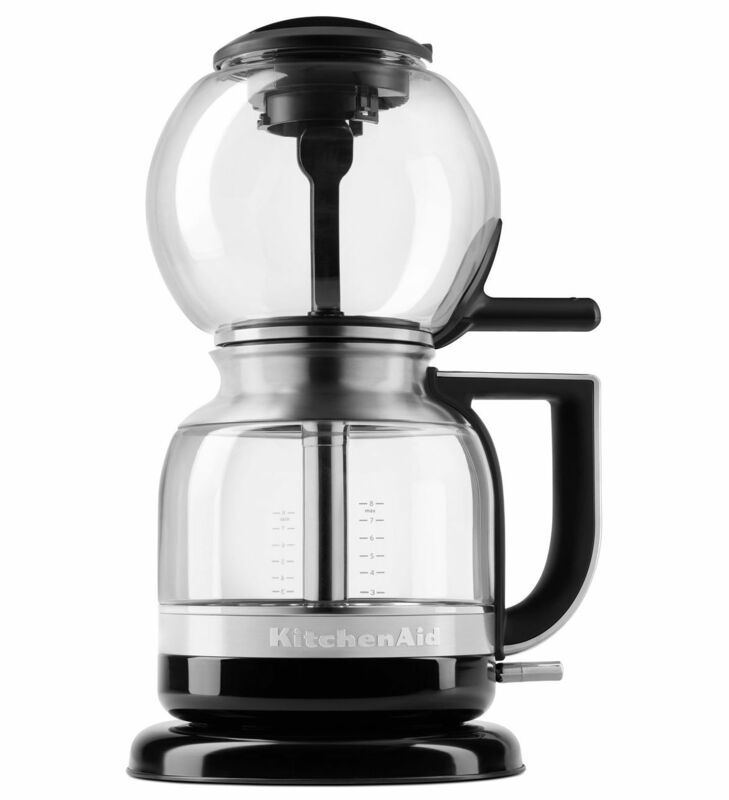 This is one of the many reasons that I’ve fallen in love with the KitchenAid® Siphon Coffee Brewer. This brewer is a true work of art. In siphon brewing, there are two vessels; one that gets filled with water and one with coffee grounds. Siphon brewers have been around since the mid 1800’s. There are several stories on how and when the siphon brewer was first invented. However, the earliest known patent was filed by a man named Loeff in Berlin around the year 1830. The first successful siphon coffee brewer that was manufactured and sold was patented by a French woman named Madame Vassieux. Her design featured lovely glass orbs or “balloons” and had a delicate spigot at the bottom for easy serving. Here’s how siphon brewing works: water is heated up to a precise temperature and rises by vapor to the upper chamber where the coffee grounds await the heat. A full immersion brew happens before vacuum pressure pulls the coffee back down to the bottom vessel. It’s an incredible process to watch! Due to the theatrical process seen in this style of brewing, these siphon brewer devices were often displayed in gathering rooms to use when guests were in attendance. More than just a cool looking brewer, siphon brewed coffee offers a very unique and delicate flavor unlike other styles of brewing. The KitchenAid® Siphon Coffee Brewer has struck a balance between amazing theatrics in brewing, incredible flavor, and convenience of use. That’s not an easy feat. 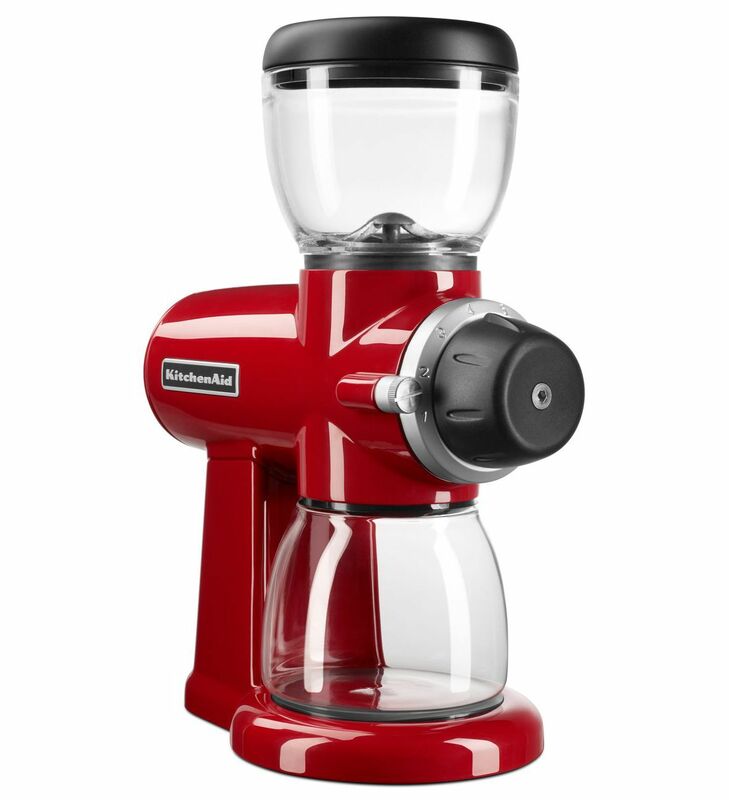 Using this brewer looks intimidating, but is really actually incredibly simple. First, fill up the carafe with the desired amount of water to the measure line. Then, click the mesh filter into place inside the upper globe. Next, add coffee grounds to the globe. 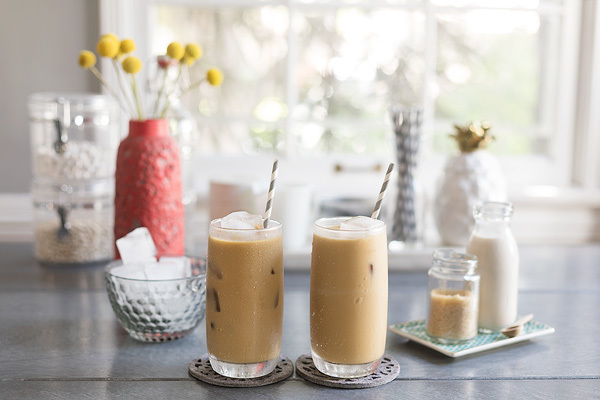 For my coffee grounds, I like to use the KitchenAid® Burr Grinder, as it allows me to grind my favorite coffee beans at home. I have found that a grind setting of 4 produces a medium-coarse grind, perfect for use in the Siphon Coffee Brewer. For 5 cups of coffee, I like to add 8 measured scoops of grounds to the upper globe. Then, place the globe onto the carafe, twisting to allow the magnet seal to lock. After that, it just takes a flick of the switch and the Siphon Coffee Brewer does all of the work for you: from heating the water to the perfect temperature to controlling the immersion brewing. The water will heat up and rise to the upper globe, saturating the coffee grounds. After a couple of minutes, you will see a rush of frothy coffee as it is pulled back down into the carafe with the vacuum pressure. It is so fun to watch! 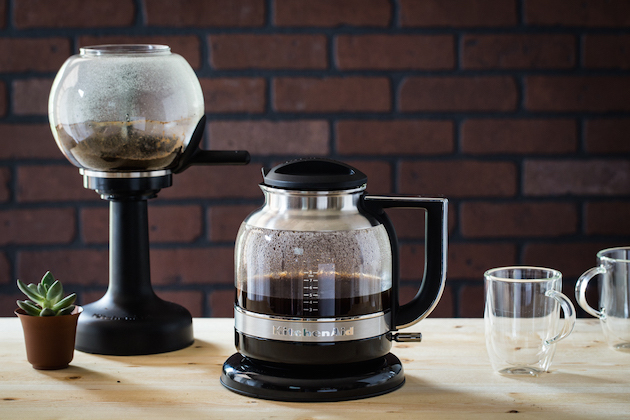 Just look at how amazing the Siphon Coffee Brewer looks in action. When the process is finished, remove the upper globe, place it on the stand, and put the lid on the carafe. 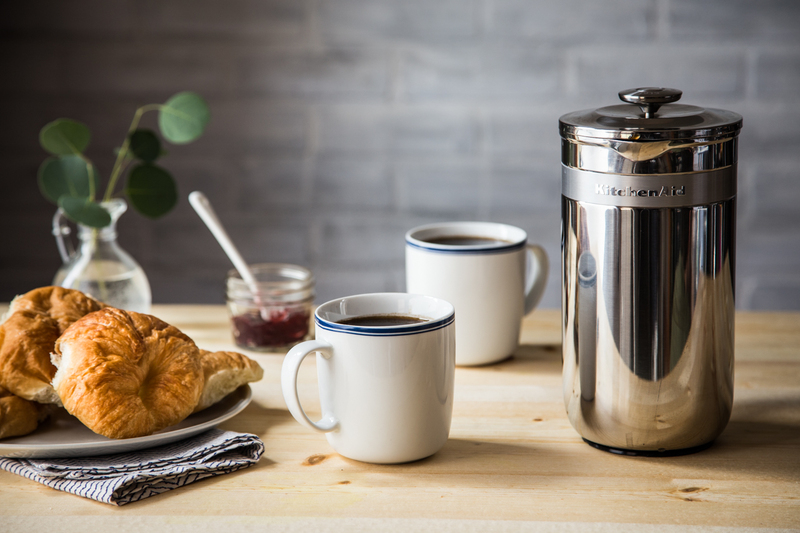 The coffee is full bodied, similar to the KitchenAid® Precision Press Coffee Maker, but with a cleaner finish. 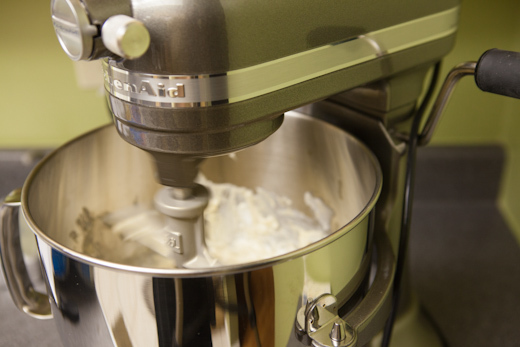 This is a machine that I love to pull out when friends come over! It is an incredible brewer that makes a lovely cup of coffee. Plus, it’s a conversation piece that will leave all of your friends impressed and asking for more.